Russell & Jeffcoat Real Estate Inc.
A lifelong resident of Columbia, I am is a retired fire chief of the Columbia Fire Department of 31 years. I am is very familiar with real estate in the Columbia area and enjoys sharing this knowledge with his clients. Joe grew up in Columbia schools and graduated from Spring Valley High School. He has also taught in the State Fire Academy and local schools. Joe began his real estate career in 2008 with Russell and Jeffcoat Real Estate. 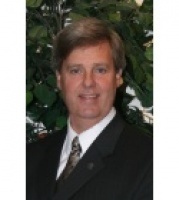 He is very knowledgeable about real estate in the Columbia area. As a result of his former career in the fire service, I am is very familiar with neighborhoods and government agencies in the Columbia area. His children attend the local schools and his wife has taught for the local school districts for the past 27 years in which he is very familiar. He knows the individual schools and special programs within the schools that cater to specific educational strengths or needs of the students. Joe enjoys helping families find the right homes and schools for his clients. If you are you looking to buy a home in the Columbia market? No matter what type of home you are looking for, I can help you find the house of your dreams! Hi Joseph, I just came across your profile on memberagents.com. I'm interested in purchasing a home in your area and would like to talk to you about possibly helping me find a nice home to purchase. Please let me know if you're available to help out. Thanks!